Our innovation model is very special to our work and forms an integral part of our organisational strategy. 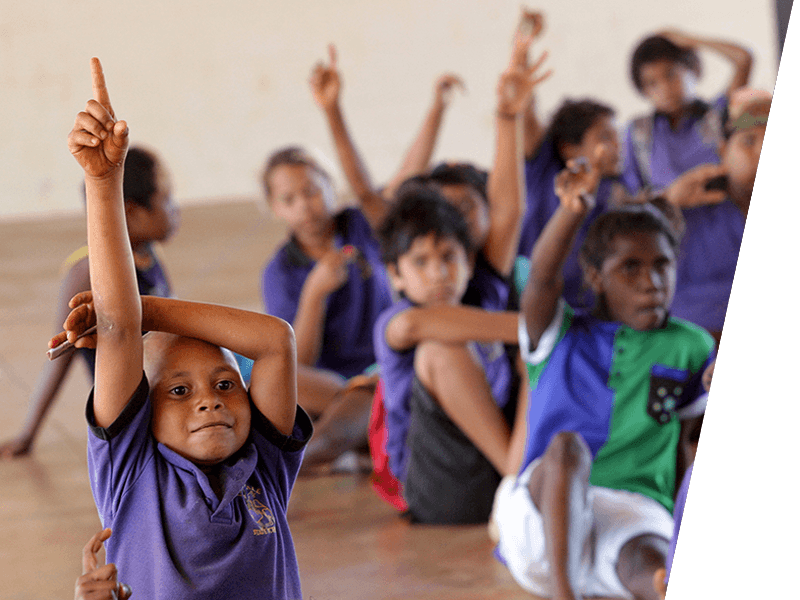 It enables us to continue to offer products and services that are attractive and beneficial to our customers – students, their families, teachers, schools, systems, governments and supporters. Co-design means to design things based on the experiences and perspectives of the end users. This process helps us better understand our customers, what they value and imagine things our customers may not even know they need, so we can produce better products and services. Often the problems we focus on are endemic and entrenched, so we invest in solutions that work. We engage with others who have similar problems and study how they have tried to fix them. We study evidence of what works. We seek out expertise to answer certain questions along the way, as we know that no-one of us is an expert in every element of a project. 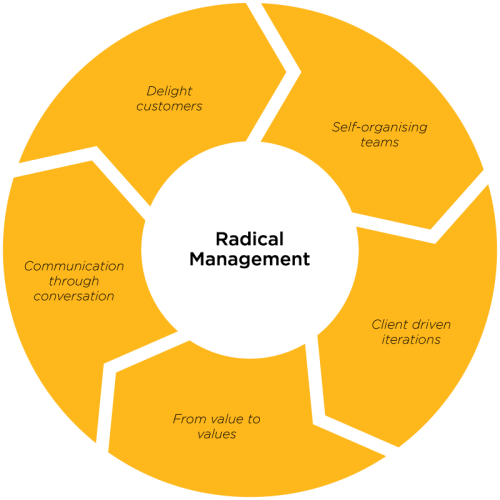 Radical management is a way of organising and managing work so that it generates continuous innovation, deep job satisfaction and customer delight. It is suited to modern organisations that operate in a world of rapid change and competition. These individual elements are not new, but doing all of them altogether as an integrated approach is. Project management is a hallmark of traditional management. This is the way projects were developed in the past. 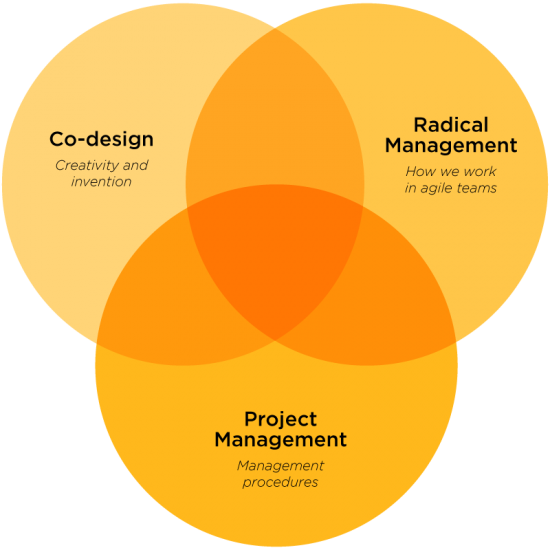 Project management is still necessary in our innovation model to support and serve co-design and radical management, but it does not of itself produce innovation. We use project management to get sufficiently organised, but it cannot stifle the creativity and freedom that innovation requires.